I've already reviewed the season over at the alphabet network, where soap operas abound and Shonda Rhimes is their Queen. Now it is time to analyze the most traditional network of them all. 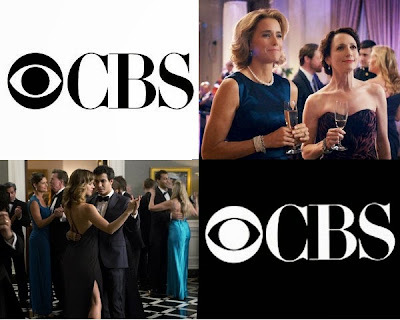 If you read my blog regularly/follow me on twitter, you might have noticed I don’t have a lot of love for CBS procedurals. It’s just a matter of taste I guess… but if I have the choice between a cookie cutter procedural [even a good one] and a serialized drama [even with flaws], I always go with the serial. You can argue with my reasoning [or lack thereof], but that’s the way it is. For some reason, serialized dramas excite me in a way shows with a “reset” button don’t [Joss Whedon agrees]. So… I probably shouldn’t be writing about CBS’s new shows because I’ve only watched one or two episodes of each. I know I know… I was just saying that I shall not judge a show by its pilot, but procedurals pretty much follow a formula so… I am guessing if I am not particularly interest in the first episode and/or the characters, I most likely won’t change my mind. I could be wrong! So please do tell me if Stalker [which will probably get cancelled] [Update it IS cancelled] or MadamSecretary [which has already been renewed] have gotten crazy good. In the meantime, I’ll stick to my first impressions which were “too much wishful writing” for Madam Secretary and “too procedural” for Stalker. Sorry Maggie Q, I adore you... but I couldn't do it. Even though I stopped watching most CBS shows after the pilot, I watched quite a few episodes of Scorpion [mostly because I am a fan of the writers/producers]. I believe Scorpion is a pretty neat, fun show. But… as hard as I tried I could not get over my dislike for the leading man. I seriously don’t like that guy… not just in a “mmm he is OK, but could have been better” way… It’s more a “I really can’t stand him” situation. Elyes Gabel may be a lovely person and I don’t even think he is a bad actor, he does an OK job… I just don’t like him [on this role]. Ironically, I started liking everybody on the cast after a few eps. I even warmed up to Kat McPhee. So… eventually I stopped watching. If the star of the show was Zachary Levi I would never stop! [Exactly the reason I am going to watch Heroes Reborn] So there you go… just a matter of casting in this instance. Charismatic geeks are hard to come by and not everyone can pull-off Sherlockian rants like Benedict Cumberbatch. Never got around to watching the McCarthys because I blinked and it was gone! You can read my first impressions of The Odd Couple here.